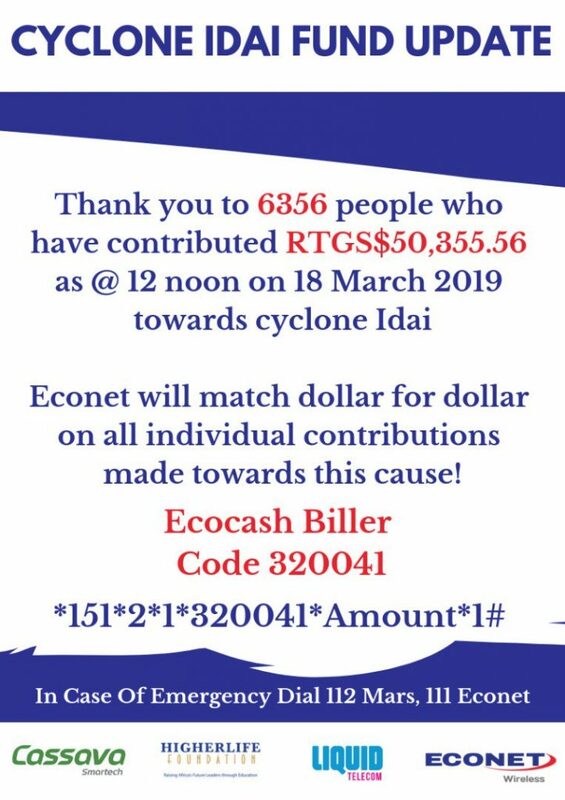 Telecoms giant Econet Zimbabwe has launched a campaign to raise funds to support the victims of Tropical Cyclone Idai in Manicaland, Mashonaland East and Masvingo provinces. The campaign managed to raise over $50,000 in less than 24 hours. Econet has promised to contribute to the money raised by matching dollar for dollar all individual contributions made towards this cause. Tropical Cyclone Idai hit Zimbabwe on Friday night with strong winds of up to 170km per hour and torrential rains of about 100mm in some places. The weather system caused floods, rockfalls and mudflows which have so far killed at least 89 people with scores missing in the three provinces.